Fisheries bycatch is a major threat to the Irrawaddy dolphin worldwide. Nonetheless, these dolphins are known to forage cooperatively with fishermen. The dolphin population in Chilika lagoon is small (<150 individuals), and population models suggest that it is declining. 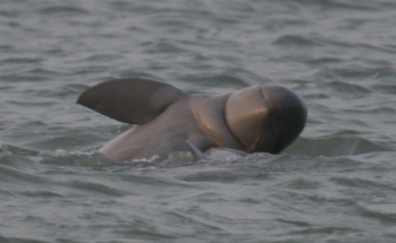 The main goal of this study is to document human-Irrawaddy dolphin interactions, focusing on how fishing at Chilika lagoon affects dolphin foraging. In particular, we will investigate dolphin foraging behaviour (with and without fishermen) using boat-based surveys, economic costs and benefits to fishermen of dolphin net-foraging, and the attitudes of fishermen towards dolphins. Knowledge gained will be used to develop a conservation education programme for local communities.